11 Day Magnificent Turkey tour: is an excellent and comfortable turkey tour package. The Turkey Tour package is prepared for the visitor who wants to visit the most beautiful sites within a comfortable tour package. With my family, i went to Turkey and join to Magnificent Turkey tour package, from the begining till end everything was with great and we have had excellent time in Turkey. When we arrived at the airport taken to our hotel and then joined to the city tours in Istanbul, Cappadocia, Ephesus, Pamukkale which were excellent places to visit in Turkey for history, nature and culture. I highly recommend allturkeytours.net and Mr. Senol who helped us to arrange all your needs in Turkey. I will recommend his service to my friends and everyone who will read this review, because, i had spent great time and enjoy my holiday in Turkey and also discovered the tourist things to do with no hassle. All you need to do is just enjoy your time and holiday. 08:30 AM After breakfast at hotel, participants will be taken to meeting point of the Heritage tour to meet with tour guide and other participants. Visiting: the St. Sophia, Blue Mosque, Hippodrome, Topkapi Palace, Grand Bazaar. At the end of the tour, return to hotel. Overnight in Isanbul. 17:30 PM Arrival to hotel will be the end of the tour. 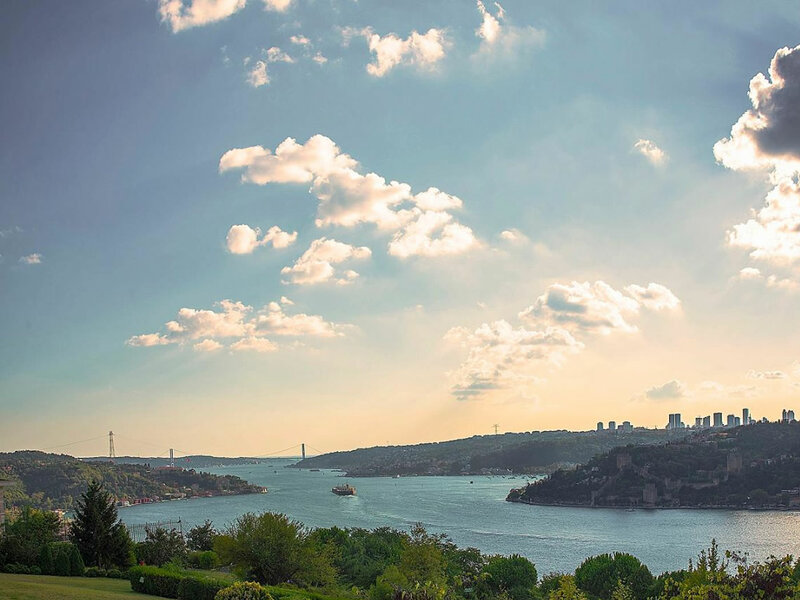 09:30 - 10:00 AM After breakfast at hotel, participants will be taken to meeting point of the Bosphorus tour to meet with tour guide and other participants. Visiting: the Walking in the Balat Streets and Golden Horn, Bosphorus Bridge, Camlica Hill, Bosphorus Boat Cruise, Pierre Loti Hill and Cable Car, Spice Bazaar. At the end of the tour, return to hotel. Overnight in Isanbul. 18:30 PM Arrival to hotel will be the end of the tour. After breakfast, relaxing in Istanbul, In the afternoon, fly from Istanbul to Cappadocia. Upon arrival in Cappadocia, Transfer to Hotel. Overnight in Cappadocia. 09:30 AM After breakfast at hotel, participants will be taken to meeting point of the North Cappadocia tour to meet with tour guide and other participants. 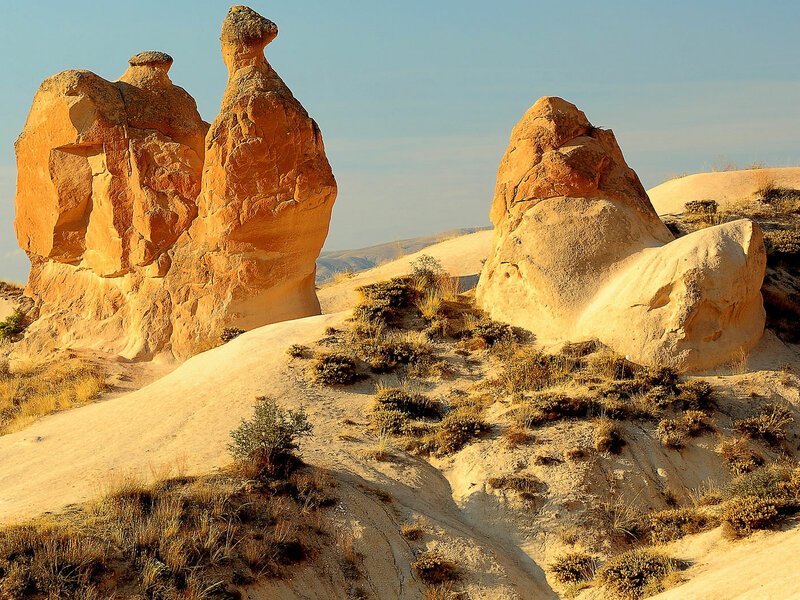 Visiting: the Dervent Valley, Pasabag’s “fairy chimneys, Avanos, Goreme Open Air Museum, Uchisar Rock-Castle. At the end of the tour, transfer to hotel where you will stay the night At the end of the tour, return to hotel. Overnight in Cappadocia. 16:30 - 17:00 PM Arrival to hotel will be the end of the tour. 09:30 AM After breakfast at hotel, participants will be taken to meeting point of the South Cappadocia tour to meet with tour guide and other participants. Visiting: the Red Valley, Cavusin Village, Great Pigeon House, Kaymakli Underground City. At the end of the tour, transfer to hotel where you will stay the night At the end of the tour, return to hotel. Overnight in Cappadocia. After breakfast, For the available flight, there will be a transfer to airport to fly from Cappadocia to Izmir. Upon arrival in Izmir, Transfer to Hotel in Kusadasi.. Overnight in Kusadasi. 09:30 AM After breakfast at hotel, participants will be taken to meeting point of the Ephesus Ancient City and Virgin Mary House tour to meet with tour guide and other participants. Visiting: the Ephesus Ancient City, the celsus library, the Temple Of Hadrian and the Trajan Fountain in the Ancient Ephesus, the historical marble street, the Great Theater, Isa Bey Mosque, shrine of Mother Mary, Temple Of Artemis (Diana), (seven wonders of ancient World), Sirince Village. .
16:00 - 16:30 PM At the end of the tour, return to Hotel. 09:30 AM After breakfast at hotel, participants will be taken to meeting point of the Hierapolis Ancient City and Calcium Tarraces tour to meet with tour guide and other participants. Visiting: the Hierapolis ancient city, Necropolis, Roman Baths, Domitian Gate, Latrina, Oil Factory, Frontinious Street, Agora, Byzantium Gate, Triton Fountain, Cathedral, Apollon Temple, Plutonium, Theater, Antique Pool. 16:00 - 16:30 PM At the end of the tour, drive to Hotel. 16:00 - 16:30 PM Arrival to hotel will be the end of the tour. After breakfast, for the available flight, there will be a transfer to airport to fly from Denizli to Istanbul. Upon arrival in Istanbul, Transfer to Hotel in Istanbul. After breakfast, you will have free day in Istanbul and according to your flight tickets, you will be transferred to airport. - 4 Nights Hotel Accommodation in Istanbul. 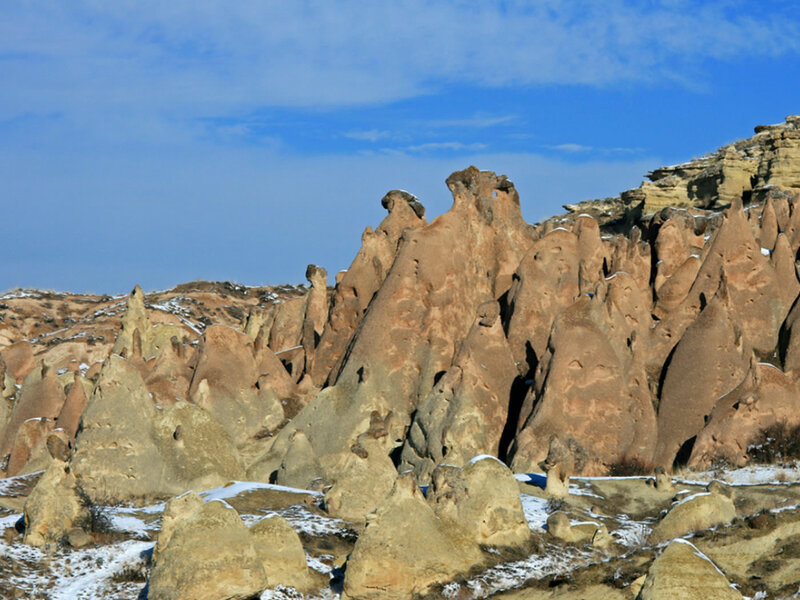 - 3 Nights Hotel Accommodation in Cappadocia. - 2 Nights Hotel Accommodation in Kusadasi. - 1 Nights Hotel Accommodation in Pamukkale. Guided Hierapolis and Calcium Terraces Tour. Guided Ephesus and Virgin Mary House Tour. - Breakfast at the hotels. - Lunch During the Tours in an open buffet restaurant. - Hotel pick up and drop off in Istanbul, Cappadocia, Kusadasi, Pamukkale for the tours. - Arrival and Departure Airport transfers in Istanbul for International Flight. - Arrival and Departure Airport transfers in Istanbul, Cappadocia, Denizli for Domestic Flight. - All Transportation during the tours from place to place. - All Transportation by non-smoking and air-conditioned touristical mine-vans. Flight Tickets from Istanbul to Cappadocia. - Flight Tickets from Cappadocia to Izmir. - Flight Tickets from Denizli to Istanbul. You may choose the hotels according to the each town you will stay during the Magnificent Turkey tour package. Istanbul. : 4* Dosso Dossi Old City Hotel, Orka Royal Hotel, Antik Hotel, Grand Oztanık, Taksim Faros Hotel. Kusadasi. : 4* Ilayda Avantgarde Hotel or Efe Boutique Hotel, Boutique Kalehan Hotel, Boutique Kırkınca House. Cappadocia. : Ottoman Cave Suites, Nostalji Cave Suit Hotel. 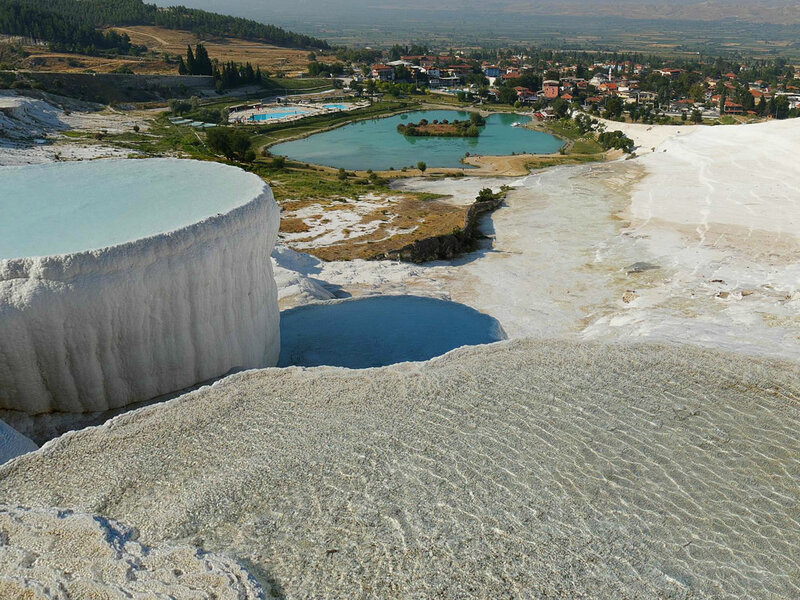 Pamukkale. : 4* Tripolis Termal Hotel, Herakles Termal Hotel. During the Magnificent Turkey, there are sites to visit by walking and not recommended for the people who has difficulties with walking. When you book the one of Turkey Tours the confirmation will be received at time of booking. We kindly request our guests to be ready 10 minutes before pick up time of for the each day tours. The Flight Tickets which is covered by the packages, will be provided after booking. Under 18 years Children who is going to join to the package, must be accompanied by an adult. My wife and I booked the 11 day / 10 night package deal at very short notice. It was no problem at all. It was one of the best holidays we have ever had and mainly it was because the owner, Mr. Senol did everything possible to help us with any changes we wanted to make. He was always available online to help us during the trip. All the arrangements were perfect, the pick up and meetings were always on time and the packed itinerary was wonderful. The tour guides all spoke good English and we found everyone to be very friendly. We will visit Turkey again and definitely book with this company again aswell. Thanks for the great holiday and good memories we will have of this trip! Me and my family always wanted to visit Turkey and at the end we arranged our magnificent turkey tour, i want to thank to everyone who helped us firstly. The Tour was great from beginning to ending. Everyhing was well arranged and pick up, drop off was on time, guiding was excellent local knowledgeable tour guide, hotels options were nice with friendly staff. We have had great holiday in Turkey. All the best. we have had excellent time in Turkey. Everything was fantastic. With my family went to Turkey and joined to the magnificent turkey tour package. We have visited everything we wanted to see in Turkey. The tour and all arrangements made by mr. senol who was very professional and replied all our e-mails on time and clear, helped us alot to understand all things and also guided me alot to make it more memorable with very reasonable rates. When my tour started I was really surprised that all the team members involved in arranging the tour from drivers, travel guides all around Turkey, well arranged, great hotels to stay. I want to explain everything but you need to have your own experiences. Magnificent Turkey is the best turkey tour package, you discover every important point, i highly recommend to everyone. If you think to go turkey and spend your holiday, Magnificent Turkey is one of the best turkey tour package. Magnificent Turkey Tour Package, it was great time for us. Turkey is excellent country to spend holiday. Me and my family we enjoyed everything in Turkey. We visited the history and nature togther and spent our nights great hotels and like the service of the package. I highly recommend to everyone, if you go turkey, you can think to book this package. Magnificent Turkey Tour Package is the best turkey tours package for us. We have done it last week and enjoyed the everyday. I highly recommend it definitely to everyone if you think to go Turkey. 11 Day Magnificent Turkey Tour Package was excellent, we enjoyed the our tours in Istanbul, Cappadocia, Ephesus, Pamukkale and we have got the informative service for the history and nature. The tour guides were great. Also the hotels were clean, friendly staff and helpful for our accommodation. I highly recommend this tour package to visit Turkey. 11 Day Magnificent Turkey Tour Package, I want to know the private tour price. Magnificent Turkey Tour Package was covered the every corner of Turkey that we wanted to visit. It was nice, just I didnt like the journey from Cappadocia to Pamukkale during the night that we used. It was long way (9 hours), I recommend to us the tour package by the flight. It will be much better I think. The other everything was worth during the tour, helpful staff of hotel, transfer company, guiding and it is good to join a group and have nice time in Turkey. In our turkey tour, we had excellent time and visited Istanbul, Ephesus, Pamukkale, Cappadocia. All the tourist attractions in Turkey. During the tour, guiding, transportation, hotels, visiting and sightseeing were very well organized, we joined to small group tour and had time to visit everything with our personal experiences. Recommend this tour to everyone. We recently returned from Turkey and had a fabulous tours. Great experiences about historical sites. We had a group of 10 family members and friends and would highly recommend this tour. 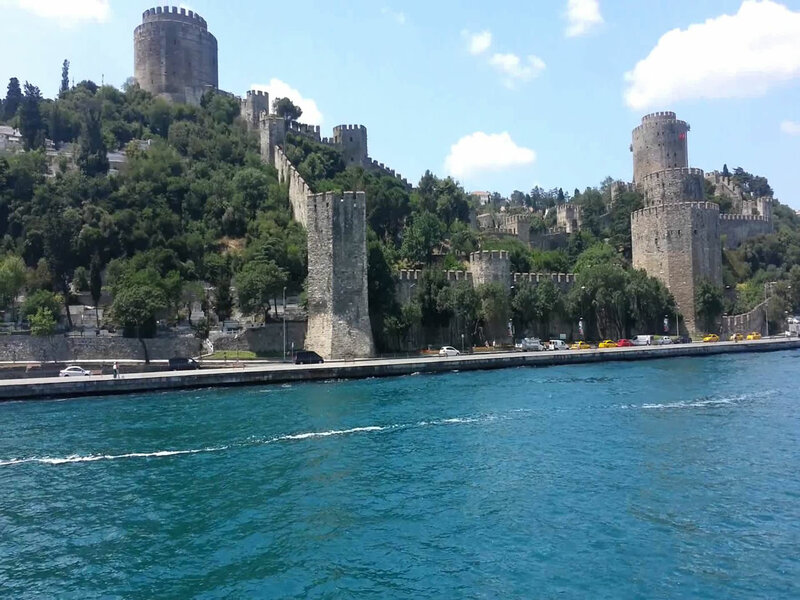 Turkey was definitely one of our favorite destination for holiday and historical visiting trip. Definitely recommend it. Turkey tour was great because of almost it was covering the places i want to visit in Turkey as tourist attractions. 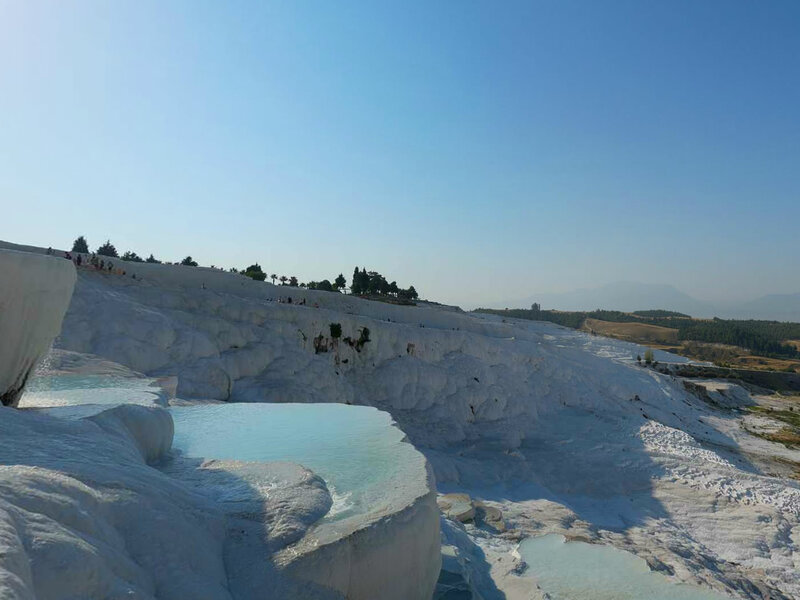 Cappadocia, Ephesus, Pamukkale, Istanbul, I had been visited one by one and during the tours there was a professional tour guide who explaind the historical information, and answering the questions, about those ancient world of Ephesus and Pamukkale and natural beauty of Cappadocia. It was fabulous tour that I recommend everyone. Go Turkey and visit those place it will be the most experienced day for you. Is it possible to make shorter tour of 11 Day Magnificent Turkey Tour Package and visit all those place? Me and my doughter, we went to Turkey for 11 days and before went, we check many availabilty of companies via google. It was, every company has something different and most of them not quick. Mr. Senol was quick replying and answering all our questions, willingly, We gat agrement with him and everything went smoothly, It was great. We had great 11 days and organization in Turkey. Great service and excellent experiences about Turkey with the Magnificent Turkey Tour. We spent 13 days in Turkey with the adding extra 2 more day to our package. From The beginning at the airport in Istanbul untill the end of it, the tour and organisation were excellent, we had a great time in Turkey. Thanks to Mr. Senol for all helps and organization of our turkey tour. Magnificent Turkey Tour for 11 day, I had done and fineshed it last week and returned home. I want to thank to Mr. Senol who helped us for our Turkey tours package of Magnificent. Everything was excellent. I recommend this turkey tour. Me and my wife, we went to Turkey with Magnifent Turkey Tour package. It was great tour package that we discovered almost everywhere in Turkey and during the tour, there was an english speaking tour guide who is Mr. Ahmet and knowledgeable, friendly. All the arrangements was smoothly arranged. I recommend this tour to every one who is thinking to visit about 10 days. We went to Turkey and done the magnificent turkey tour package which was 11 days but we added it 2 more day for relaxing in Antalya. It was great time for us. I recommend this tour package to everyone. We were a group of people and want to visit Turkey in our summer vacation. We search in google and found the turkeytourspackage.com and then started to write e-mail, for a while, we agreed about the the price, details and everything for the 11 day Magnificent Turkey Tour. It was great time for us to be in turkey and spending our holiday in a beautiful places. I recommend this tour to veryone for Turkey because it is fabulous tour. How much is the package? I want to learn how much is the tour package price for 3 person? Magnificent Turkey Tour package is excellent tour package that covers the most important sites in 11 days in Turkey. Istanbul, Cappadocia, Pamukkale, Ephesus, history, leisure and everything together, we had done this tour in Turkey. High Recommended Great Turkey Tour! Our Turkey magnificen tour was started in Istanbul upon our arrival and we taken to hotel after meeting direct. We contacted BeHappy Travel. This turned out to be our best decision. Mr. Senol from the agency was available for every small doubts we had and addressed all our concerns be it any hour of the day or night! He helped us with our tours in Istanbul, Cappadocia, Ephesus and Pamukkale which are in Magnifecent Turkey Tour. These tours were so well conducted and highlight of our first leg of the tour. After done the Istanbul day tour , continue to Anatolia to discover the history, ancient world, nature, the tour was covering, like places to shop, see, eat, etc. It was like meeting local friends. Mr. Senol was available round the clock to even guide us with the directions to places till the last mile! By the end of our tours we were like locals who were completely at home. Everyone should to this tour in Turkey. I had been in Turkey with the 11 days which was great. I went to visit the most beautiful sites in Turkey. I liked the organization from beginning to end. I recommend to everyone. It was great service. 11 Day Magnificent Turkey Tour Package was excellent, i could not be happier with my tour with Ilke. Touring with turkeyvisit.net, I had an expert at my side when trying to learn not only about the city but the culture of Istanbul, Ephesus, Pamukkale, Cappadocia, it was an amazing understanding of the history of the cities and the surrounding area, exposing me to many parts of the culture. I would highly recommend and plan to use again when I return for some day trips. Thank you for the wonderful tour Iike! Geat 11 days in Turkey, me and my friend we went to Turkey to visit the historical sites, It is a long story in the and we went and visit the Istanbul, Cappadocia, Ephesus and Pamukkale. It was a with small groups during the tours, for each sites tour guides were local and excperienced, we spent 11 days in Turkey. I just missed the hot air balloon ride in Cappadocia, I recommend it to every one as well. 2015 - 2019 | © All Rights Reserved.